TOES. In the past two years, however, more than a dozen new works have been created to the music of Richard Rodgers, presented by some of today's leading ballet and modern dance companies. a stack of Rodgers compositions, and a willingness to be open to new and original ideas, we approached leading choreographers around the country with a simple invitation: Shall we dance?"" If there was one aspect of the Rodgers Centennial that impressed me the most. says R&H President Ted Chapin, it was how openly and generously the dance world welcomed his music, welcomed our ideas on what could be done with it, and responded in the most creative ways! Sewell Ballet and River North Chicago Dance Company. 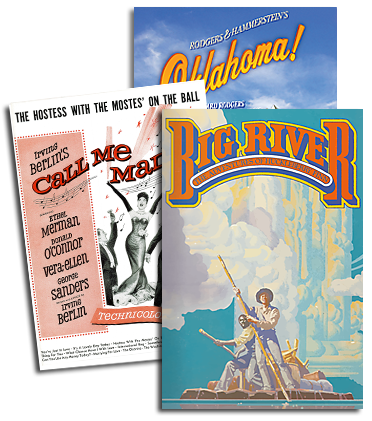 Rodgers innovations in the writing of musicals with Hart and Hammerstein are well known. says Chapin, ""but he was also a groundbreaker in how to use dance in musicals. Its no surprise that he collaborated with three of the greatest choreographers of the 20th century George Balanchine, Agnes de Mille and Jerome Robbins. These were powerhouse talents equally at home in ballet or on Broadway, and working with Rodgers clearly inspired them. We wanted Rodgers to inspire contemporary choreographers. too, continues Chapin. When [R&H Director of Special Projects] Bert Fink and I were scheming about this, he recommended that we hire Ann Marie DeAngelo as our guide into the dance world. It turned out to be an inspired choice. DeAngelo had been a principal dancer, and later Associate Director, of the Joffrey Ballet, as well as a soloist with the Royal Winnipeg Ballet, the National Ballet of Cuba, and San Francisco Ballet, among others, before becoming a choreographer and producer the latter as founder of two ballet companies, Ballet DAngelo and Ballet de Monterrey. As our dance consultant, she proved invaluable in making the connection between R&H and dance troupes across America. revive elements of classical ballet that deal with character and story telling. Rodgers is obviously a perfect composer for these treatments. And there is another plus, she says frankly: Marketing. A lot of companies recognize that they need to create one or two major works to anchor their seasons, and these productions should have crossover appeal. A new ballet set to the music of Richard Rodgers is perfect, on so many levels."" One of the first leading companies to embrace the Rodgers concept was New York City Ballet. Balanchine had been the companys cofounder and its artistic director for many years, and his definitive staging of SLAUGHTER ON TENTH AVENUE has been a staple of the NYCB repertoire for decades. Peter Martins, the companys current Artistic Director, leapt at the chance to honor Balanchines early collaborator, and bring two worlds together. In late November 2002, the NYCB Winter Gala at Lincoln Center was a sumptuous affair dedicated to the music and memory of Richard Rodgers and featuring three new works: Robert LaFosses LAND OF NOD, Christopher Wheeldons CAROUSEL: A DANCE, and Peter Martins THOU SWELL. The LaFosse piece was a surrealistic journey through one little girls nightmarish dreams; circus clowns and sideshow creatures flitted about, reflected in the melodic colors of an orchestral score drawn from such atypical sources as JUMBO, PIPE DREAM, NO STRINGS and ME AND JULIET. The evenings second piece. CAROUSEL: A DANCE, featured The Carousel Waltz, into which was inserted an excerpt from that scores Act II If I Loved You ballet. The Wheeldon piece, like the LaFosse, was billed as a grand piece d'occasion, intended for that night's gala only. But critical and audience reaction insured that it would be seen in the NYCB repertoire for a long time to come. It isa perfect little gem. cheered Clive Barnes in the New York Post, a work that may one day be regarded as the first ballet masterpiece of the 21st century..[It] perfectly caught the lilt, sweep and heartbreak of Rodgers score. Anna Kisselgoff of the New York Times cited the Wheeldon piece as one of the 10 dance highlights of 2002, hailing it as one of ballets major love duets...a work that expands ith ceaseless invention. Calling the entire Rodgers gala a triumphant evening of dance, Sylvian Gold of Newsday described CAROUSEL: A DANCE as wondrous...a masterpiece... the audience erupted with entirely justified bravos. Gold continued, 'It seemed an impossible act to follow. But Peter Martins did it, with his lavish, jazz-tinged THOU SWELL. The Martins piece, previewed in November before officially joining the repertoire in January, was a spectacular amalgam of Broadway and ballet: show folk recognized the names of conductor Paul Gemignani, leading a 50-piece orchestra in the pit: orchestrator Don Sebesky and music arranger Glen Kelly; and set designer Robin Wagner, who created a Rainbow Room fantasy in all its Art Deco glory. Joining the NYCB stalwarts on stage was a red-hot jazz trio, and two guest vocalists: Broadways own Debbie Gravitte and Jonathan Dokuchitz. (Gala night also saw an unbilled cameo performance by Bernadette Peters.) Frederick Winship of United Press International called THOU SWELL ""one of the best ever choreographed by Martins. Rodgers music offers contemporary choreographers a wide range of interpretation, as the NYCB evening demonstrated. Another case in point: RESURRECTION, choreographed by Mark Morris. Though set to the score of SLAUGHTER ON TENTH AVENUE, it tells a story quite different from the original, and conjures different imagery enhanced by Isaac Mizrahis boldly brilliant, pajama-like costumes. First perfomed by the Mark Morris Dance Group at the American Dance Festival in Durham, North Carolina in July of 2002, RESURRECTION was also featured on the PBS telecast of EVENING AT POPS: RODGERS & HART (with Keith Lockhart and the Boston Pops) before becoming part of the companys 2002-3 touring repertoire. Who but Mark Morris would take a George Balanchine standard and turn it into a hip bit of entertainment that both alludes to and turns its back on the original?, asked Jennifer Dunning in the New York Times. One of the earliest dance pieces to anticipate the Rodgers Centennial was MY FUNNY VALENTINE, an achinglv romantic pas de deux by Lar Lubovitch, first presented as part of the American Ballet Theatres Fall 2001 season, and repeated the following February as part of the Julliard Schools Richard Rodgers tribute. (Lubovitch, like Rodgers, is an alumnus of the school.) For the ABT Fall 2002 season, Lubovitch expanded the piece and renamed it ...SMILE WITH MY HEART, incorporating themes from Do I Hear a Waltz, It Might as Well Be Spring and I Didnt Know What Time It Was, among other songs, woven into a Fantasie on Themes by Richard Rodgers for cello, piano and oboe. With this piece, declared Kisselgoff in the New York Times, Rodgers takes his place in the contemporary ballet repertory...After all.,[he] was a serious composer working on Broadway and Mr. Lubovitch treats him with the seriousness he has given composers like George Gershwin in other ballets. Balletic versatility was also amply demonstrated at the April 2003 opening night gala for Nevada Ballet Theatre in Las Vegas. There, Artistic Director Bruce Steivels lavish yet nostalgic tribute, A RICHARD RODGERS SONGBOOK, was contrasted with Ann Marie DeAngelos jagged and contemporary WALK ON. Where the fomer piece lovingly evoked the glamorous heyday of Broadway, the latter prompted roars of approval from the NBT audience in its startling use of modem imagery and movement, set to such provocative Rodgers renditions as Janis Joplins Little Girl Blue, Chaka Khans My Funny Valentine and Youll Never Walk Alone performed by Robin S.
Other choreographers used distinctive cover versions of Rodgers standards in their pieces as well, choreographers, in fact, worked from vocal variations on the same song, Blue Moon"": for Oregon Ballet Theatre, Artistic Director James Canfield devised UP set to seven versions of Blue Moon, from the doo-wop jingle of the Marcels to the alternative rock sound of the Cowboy Junkies. At the same lime. Jennifer Muller developed a piece for her company, The Works, entitled MOON, also set to multiple renditions of the classic song, including Dean Martin and Billie Holiday. Mullers full MOON premiered as the centerpiece of her companys New York gala in May of this year, though an excerpt was first seen last October at SHALL WE DANCE?, a Rodgers dance gala held at City Center. Benefitting Career Transition for Dancers, SHALL WE DANCE? served as a glorious summation of the ongoing collaboration between Rodgers and dance, touching on the past ( American Ballet Theatre restaging de Mille's ""If I Loved You pas de deux, and an NYCB extract from Balanchines SLAUGHTER), the present (excerpts from Lubovitch and Muller) and the future, where Ann Marie DeAngelo and Val Caniparoli each showcased upcoming new works. DeAngelos GHOST TOWN REVISITED was based on themes from Rodgers' only freestanding dance piece. GHOST TOWN (first performed by the Ballet Russe de Monte Carlo in 1939), presented here by members of Ohio Ballet and subsequently entered into that companys repertory in early 2003, with hopes to mount the complete ballet in the near future. Caniparolis contribution was NO OTHER, a steamy tango set to Beneath the Southern Cross from VICTORY AT SEA (also known as the tune of ME AND JULIET's No Other Love); when it joined the San Francisco Ballet rep in January NO OTHER was hailed by the San Francisco Chronicles Octavio Roca as celebratory, sensual, fast and tough to resist. Hopefully the reunion of Rodgers and dance begun in his Centennial year will continue for a long time to come. At this writing, the James Sewell Ballet is touring America with a repertoire that includes LOVER, set to Rodgers and Hart standards, while River North Chicago Dance is presenting its new Rodgers work, THE SWEETEST SOUNDS. This summer, Adam Cooper brings his acclaimed production of ON YOUR TOES to Londons Royal Festival Hall and bowing at Christmas will be Lar Lubovitchs My Funny Valentine pas de deux on the big screenas featured in Robert Altmans film, ThE COMPANY (Sony Pictures Classics). Looking towards 2004-2005, Val Caniparoli is developing a full-length ballet for a major North American dance company set entirely to the music of one composer: Richard Rodgers.